CẦN THƠ — A plan to build an airport in the Mekong Delta province of An Giang was excluded from the list of prioritised investments due to concerns that it would be ineffective. The decision was announced yesterday at a conference on development of infrastructure and logistics systems in the Mekong River Delta, jointly organised by the Ministry of Transport and the government’s Steering Committee for Southwestern Region in Cần Thơ City. “The plan to build the airport was proposed by the province’s authority but is not agreed upon by the Government and the Ministry of Transport,” said Lê Đỗ Mười, deputy head of the Transport Development and Strategy Institute. The construction of An Giang Airport, which is expected to cost VNĐ3.41 trillion (US$153 million) by a public-private partnership was earlier put in the list of prioritised investments in the 2016-20 period, according to a draft plan on development of infrastructure and logistics systems in the Mekong River Delta. The airport was planned to cover 230 hectares, serving both civilian and military purposes. As soon as it was made public, the plan drew criticism from both the public and experts as unnecessary and ineffective. Trần Hữu Hiệp, a member in charge of economic affairs of the Steering Committee for Southwestern Region, said the project would require a huge amount of capital while the country still faced many difficulties and the need was not urgent. 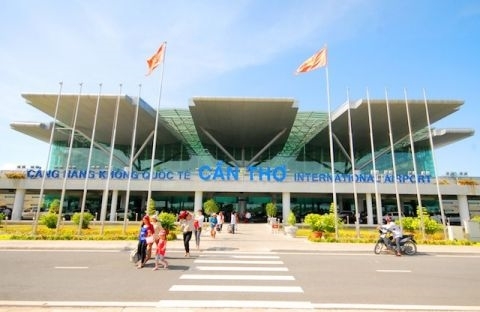 He pointed out that Cần Thơ International Airport was only about 60km away from An Giang Province while Cà Mau and Phú Quốc airports were a little further. Cần Thơ Airport was upgraded in 2011 to handle 3-5 million passengers and up to 5,000 tonnes of freight per year. However, currently, the number of passengers being handled by the airport was a mere 10 per cent of its designed capacity, he said.